Vascular monitoring is an integral part of many medical procedures including various types of surgeries, vessel detection and assessment, and diabetes control, among others. High-quality ultrasound technology is most commonly used in a wide range of applications. At Tiger Medical Supplies, we are committed to providing doctors, nurses, and other medical professionals with superior vascular dopplers to suit a variety of needs, preferences, and budgets. 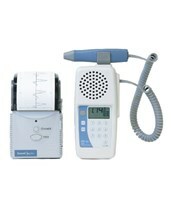 Our handheld, mobile, and tabletop dopplers, from trusted manufacturers Medline, Huntleigh, and Summit Doppler, are designed for several medical applications. 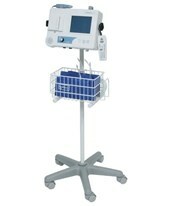 Some are suitable for vascular monitoring only; others may be used in obstetric monitoring as well. All are lightweight and portable handheld models. 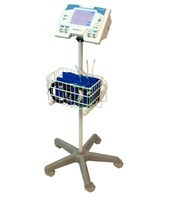 Huntleigh's line of vascular dopplers - including the audio-only, non-directional Mini Dopplex®, bi-directional Multi Dopplex® II with LCD as well as software and printer compatibility for peripheral arterial disease diagnosis, and the bi-directional Super Dopplex® II with display for use in advanced doppler studies and ankle brachial pressure index (ABPI) assessment - feature integral battery management with auto shut-off to conserve battery, active noise detection, built-in loudspeaker, and output for the included stereo headset. The devices are intended primarily for vascular assessment but also features obstetric capabilities with the appropriate probes. Each includes a choice of seven probes in varying frequencies, including the Easy8 wide beam probe for the location of brachial and pedal arteries. Huntleigh also offers a dedicated diabetic foot assessment kit with a choice of three dopplers, sphygmomanometer and cuffs, and a Neuropen for complete diabetic assessment and treatment. Medline's MedaSonics CardioBeat doppler with heart rate is used to locate vessels and assess patency, calculate ankle-brachial index and measure systolic blood pressure. It features enhanced vessel detection and break noise suppression for excellent sound quality. 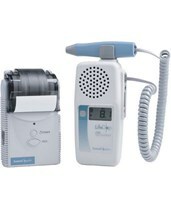 Summit Doppler is dedicated solely to the production of durable dopplers with crystal-clear sound, low maintenance costs, and ergonomic design. 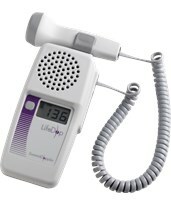 Their most basic model, the audio-only, non-directional LifeDop 150, features optional upgrades such as rechargeable batteries and built-in audio recorder and includes a choice of seven high-sensitivity probes, including three vascular probes, two standard obstetrical probes, one waterproof obstetrical probe, and a transvaginal obstetrical probe. 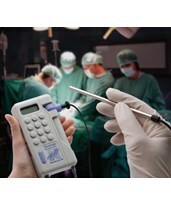 The LifeDop 250 adds a large, clear display and the option to add a varied probe pack for different uses; the LifeDop 350 includes the features of the 250 in a tabletop design. 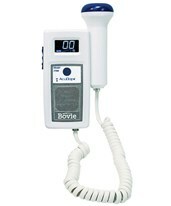 Summit Doppler also offers Medicare-reimbursable ABI system designed for the diagnosis of peripheral arterial disease. 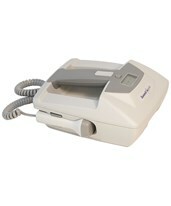 Each includes an 8 MHz vascular probe, optional or standard aneroid and cuffs, and a portable printer. 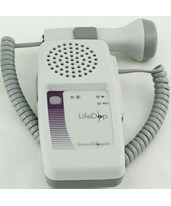 The LifeDop 250 ABI system features a signal frequency and blood flow direction display; the LifeDop 300 ABI is enhanced by a keypad for easy data entry. 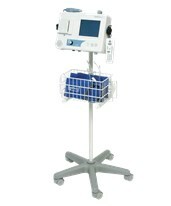 The Vista ABI system includes a mobile stand with storage basket and is fully modular with seated ABI capabilities, a hand-held controller, dual modalities, and a large graphic waveform display; the AVS system performs ABI, TBI, and segmental calculations, three modalities, software, PC and EMR connectivity, and additional cuffs. 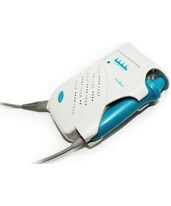 Ordering a vascular doppler online can be a daunting task due to the myriad options and price ranges. We at Tiger Medical Supplies are here to support you through the purchase process; our comprehensive, detailed product pages and friendly, capable sales staff will assist you in finding the model that best suits your needs at an unbeatable price.